This post comes to us from the original founders of the UCSD Gun Violence Intervention Group at UC San Diego, Joe Anderson. Joe writes to us from Edinburgh University in Scotland, where he is pursuing his PhD in Anthropology, and will be coming back to San Diego in 2016 to conduct further fieldwork in the topic of gun violence. (Note: This post was created prior to the events that have occurred this week in South Carolina, where we send our deepest sympathies). The UCSD Gun Violence Intervention Group was accepted to the Clinton Global Initiative University (CGI U) this Spring 2015 with initiatives to develop and teach a gun violence education curriculum to all 50 San Diego middle schools. The CGI U 2015 meeting brought together more than 1,000 innovative student leaders to make Commitments to Action in CGI U’s five focus areas: Education, Environment and Climate Change, Peace and Human Rights, Poverty Alleviation, and Public Health. The number of American lives lost to domestic gun violence each year consistently totals 30, 000; a number greater than those killed in the wars of Iraq and Afghanistan over a period of twelve years (Mozaffarian et al, 2013). Gun violence has now reached a diverse range of social arenas, from inner-city neighbourhoods and movie theatres, to high schools and college campuses. As recent events in Ferguson, Missouri have shown, violence and guns are a topic that crosscut a number of social problems in America, encompassing race, socio-economic inequality, identity and politics. Whether in the pro-gun rhetoric of Fox News and Libertarian activists that emphasize Constitutional rights to the ownership of fire arms, or arguments for gun control by affected communities, it is impossible to discuss guns in America without dealing with the issue of violence. 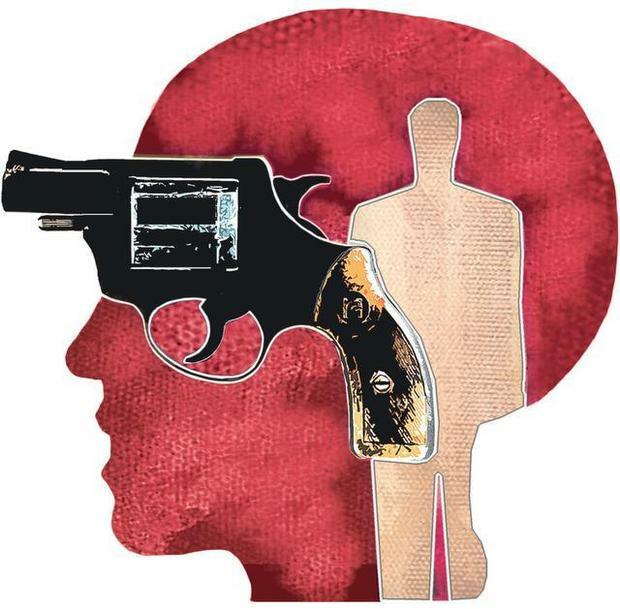 This has created a situation where the number of people affected by gun violence constitutes a public health crisis that requires attention by diverse publics services and disciplines, from frontline workers in hospitals and community mediation programmes, to the academics who use theoretical models and empirical investigation to understand violence. I fall into the latter of these camps, but I believe that my work has a great deal of relevance to those who aim at rethinking what a solution to gun violence in America might look like. Over the course of nine months I carried out an ethnographic study of US gun ownership while attending the University of California, San Diego. My home university in Edinburgh, Scotland, requires that each Social Anthropology undergraduate research and write a 15,000 word dissertation as part of their degree. Being an avid watcher of the Daily Show and Colbert Report, I had tracked from afar the steadily rising hysteria and volatile debates surrounding guns and mass shootings in America. Upon taking up residence in San Diego, I decided that I could not miss the opportunity to explore this interest further. At this point, life threw me one of those magnificent strokes of luck that seem to occur once in a while. I moved in with a family who owned a number of firearms and who explicitly adhered to a Libertarian ideology. Along with a number of friends I met at UCSD, this meant that I was able to explore the nuances and lived realities at the heart of the gun debate. What surprised me most about the process of studying, was how my own attitudes towards the topic had to change in order to take a culturally relative look at guns. I of course approached the field with an opinion, but this became less important than understanding how, whether for better or worse, the ownership of guns by individuals has come to be central to notions of American identity. With this in mind I set about working out how a strong gun culture has remained central to the United States in the centuries since it’s independence was won. I believe that it is in a tension between abstract ideological notions and the embodied experience of shooting that perpetuates this aspect of American culture. Firstly, I found that guns are moral objects. In many owner’s minds they confer onto the wielder the rights of a citizen. This forms a large backbone of the contemporary ideological stance known in various forms as Libertarianism. It emphasizes the individual responsibility of citizens to look after themselves and advocates the deregulation of financial markets. Adam Smith’s famous “invisible hand” of the market is viewed as the only fair way to govern society, anything else involves the theft of property by the state for the purposes of redistribution. I must emphasize here that this is not a homogenous ideology. However, I believe that the above notions underpin most variations. Opposing this abstract ideological attitude to guns is the sensory experience of shooting a gun. This is a powerful embodied action. In my time in San Diego I went shooting three times and slowly became used to the rituals and associated mindset that comes with firing a gun. What is important here, is that as one is socialised into a family, or group that lays great ideological importance on guns, the embodied actions of shooting become tied to this ideology. The experience of loading a gun, preparing to shoot and actually firing, becomes a ritual of almost religious importance. For in the process you enact the belief system that comes with belonging in a community or group that adheres dogmatically to the scripture of the Constitution. This becomes a self-fulfilling prophecy whereby shooting reinforces an ideology, which then drives the person to shoot. So, what implications does this have for an understanding of gun violence in Global Health? I believe that it demonstrates the limits in arguing for solutions to gun violence that do not take into account the perspective of gun owners. If the gun is an object that carries with it the weight of identity formation and expressions of morality, then the ways in which associated violence is dealt with has to be done in a culturally sensitive way that takes these factors into account. We can’t just dismiss the ideologies subscribed to by gun owners that form a large backbone of American culture. By acknowledging this, relevant solutions to gun violence can be focused on that bypass the vitriolic and impotent character of the gun control debate. Good work is being done on reducing gun homicides with this exact goal in mind. Gary Slutkin’s Violence Interrupters in Chicago utilises lessons learned in treating epidemics by framing gun violence as a disease that can spread, but also, most importantly, be treated by community level interventions. Similarly, the UCSD Global Health Gun Violence Intervention Group is dedicated to discussing and finding solutions by ignoring the gun control debate and focusing on what works. The group has won funding from the Clinton Global Initiative and is in the process of expanding an educational curriculum aimed at high school students. These programmes are just two of the many ways in which citizens can engage with their communities to help tackle the problem of gun violence in America. I strongly urge that you check out the UCSD group for more information if you are interested in being part of a Global Health initiative working on a contemporary social problem in urgent need of attention.